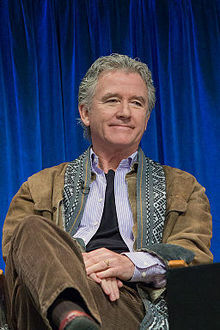 پاتریک دافی (اینگیلیسجه: Patrick Duffy) آمریکالی فیلم یؤنئتمنی و اوْیونچو. آمریکادا دۆنیایا گؤز آچیب. 1974–گۆنوموز ایللر آراسیندا سینما ساحه‌سینده چالیشیب. 1976 Switch Sgt. Musial Episode: "The Walking Bomb"
1979–1982 Knots Landing Episode: "Pilot"
1983 Auf los geht's los Singer Episode: "Nachthemdfolge"
1985 Hotel Richard Martin Episode: "Missing Pieces"
1985 George Burns Comedy Week Episode: "Dream, Dream, Dream"
1987 Our House Johnny Witherspoon Episode: "Candles and Shadows"
1998 Diagnosis: Murder Wayde Garrett Episode: "Till Death Do Us Part"
1999 Dead Man's Gun Lyman Gage Episode: "The Womanizer"
1999 Twice in a Lifetime Peter Hogan Episode: "A Match Made in Heaven"
Episode: "And the Wiener Is..."
2000 The Secret Adventures of Jules Verne Duke Angelo Rimini Episode: "Rockets of the Dead"
2004 Reba Dr. Joe Baker Episode: "Couples' Therapy"
2012 Lovin' Lakin Himself Episode: "Lakin Visits Her Dad"
2015 The Fosters Robert Quinn, Sr. Episode: "The End of the Beginning"
2018 American Housewife Marty Episode: "Saving Christmas"
اینگیلیسجه ویکی‌پدیاسی‌نین ایشلدنلری طرفیندن یارانمیش«Patrick Duffy»، مقاله‌سیندن گؤتورولوبدور. ( ۲۲ ژانویه ۲۰۱۸ تاریخینده یوْخلانیلیبدیر). قارداش پروژه‌لرده پاتریک دافی گؤره داها آرتیق بیلگی‌لر تاپابیلرسینیز.